Welcome to another May 2014 issue of GL's Newsletter. This week we highlight the applications that have been enhanced to support G.722 Wideband Audio Codec over VoIP and T1 E1 Platforms. Despite revolutionary advances in telecommunications technology, audio quality has remained virtually unchained for nearly 50 years! This may change with the penetration of VoIP in wired networks and Voice over LTE (VoLTE), for wireless networks. 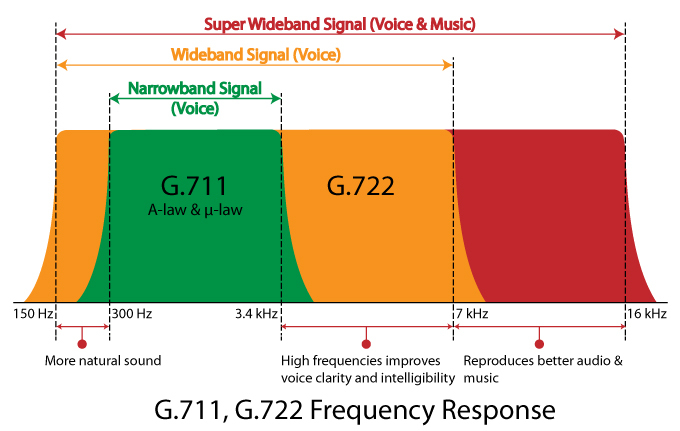 G.722 is a wideband codec with more natural sound, better clarity, and intelligibility. And very importantly, it's license free. Most all VoIP phones have it and use it within an enterprise and VPNs. Radio stations also use it for their audio transmissions prior to over the air transmission, since PSTN quality is just not good enough. The better quality is due to its better sampling spectral characteristics - shown below. GL Communications products support G.722 with a variety of signaling and audio processing applications in both VoIP and TDM. Using these applications, one can easily emulate, analyze, and troubleshoot audio signaling and quality over both VoIP and TDM. PacketScan™ is a versatile Packet Analyzer for VoIP that supports many signaling protocols like H.323, SIP, RTP, Skinny, Megaco, and more. It also supports many codecs including G.722. PacketGen™, a SIP protocol emulator, VQuad™ SIP, a voice and data quality test tool, and all MAPS™ Emulation products also support G.722. For comprehensive information on the above codecs, you can view Codec Listings. Below are screenshots of PacketScan™'s Packet Data Analysis (PDA). In both A-Law and µ-Law PCM (64kbps), 8 bits are required to represent each sample. It can be seen that PCM operates at a rate of: 8 bits/sample * 8000 samples/sec = 64000 (64K) Bits Per Second. G.722 uses two 4-bit samples in the same 8 bit space, thereby using the same capacity with better quality. This application has not changed but can inherently analyze signaling over the D channel. 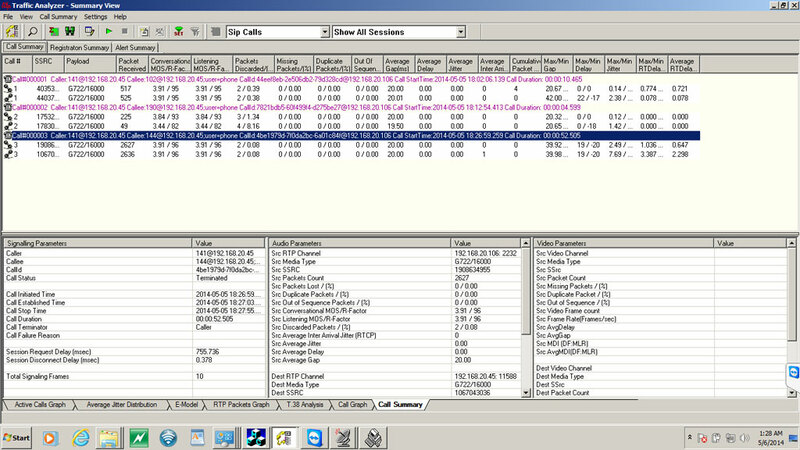 If radio stations are using ISDN circuits for "program audio" transmission, then ISDN Analyzer is useful. This application captures bi-directional channel data and records to files. Capture may be triggered according to various protocols such as signaling bits, ISDN messaging, etc. CCA also records signaling and alarm events as well as producing a summary record for each call. The files containing the event and call summary records are collectively referred to as Call Record Files. This application has not changed but can inherently trigger on ISDN signaling and capture to the referred 64 kbps channel. This application operates in near real time, processing the signal files recorded by Call Capture Application (CCA). VBA may be configured to detect in-band events such as sporadic echo, digit tones, in-band impairments, and the like. It also produces summary measurements of the captured signals, including active speech levels, noise level, percent time active, DC offset and more. VBA records its output into two files, the first containing overall channel measurements, and the second containing event records. VBA has been enhanced to support G.722 at 64 kbps. It captures and decompresses G.722 to 14 bit PCM file. This audio processing application provides a bridge between T1/E1 timeslots and single or multichannel sound card(s). With this application, you can 'listen' to the incoming audio on T1/E1 timeslots directly on your PC speakers, or, 'stream' the audio from Microphone or Line-in signals into T1/E1 timeslots. Supported codecs data rates are - A-law, µ-law, 16-bit PCM (Intel), 16-bit PCM (Motorola), G.726 (40 Kbps, 32 Kbps, 24 Kbps, and 16 Kbps) and G.722 (64 kbps). Mono and Stereo audio modes are supported. The Audio Compression Manager (ACM) Tester is used to compress and decompress audio files. This utility also supports a wide range of codecs, including G.722 wideband codec. It also supports compressing voice files (Raw PCM and *.WAV formats) and decompressing the compressed files and *.BIN (binary audio files) files. 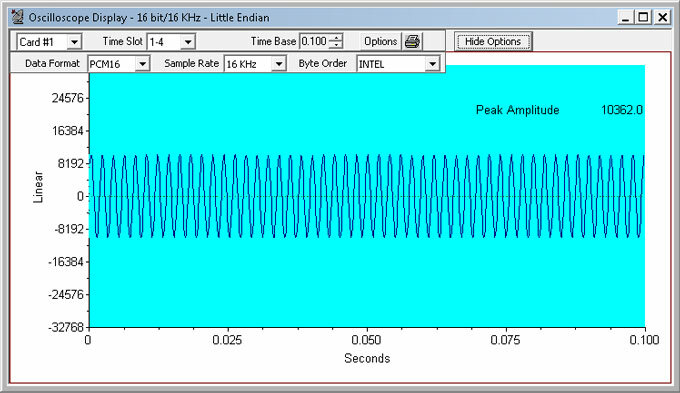 The recent enhancements introduced to Oscilloscope and Power Spectral Display applications include options for displaying all signaling formats - a-law, µ-law, PCM 16 bit, PCM 13 bit, PCM 14 bit, PCM 8 bit and different byte order for INTEL (Little Endian) and MOTOROLA (Big Endian) 16 bit signals sampled at 16 KHz can also be displayed. 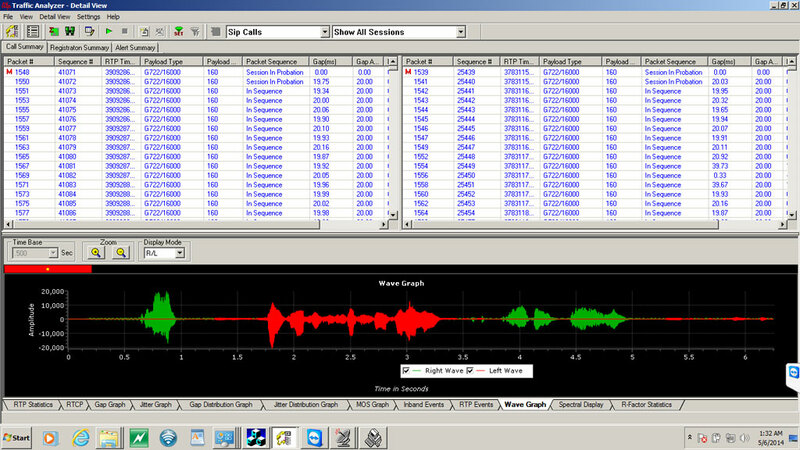 Following are the screenshot of oscilloscope and spectral display of PCM 16 bits 16 KHz signals. Please review the above and give us a call if you are interested in the above product/software or for any other applications listed in our website. We would be happy to discuss your testing needs and we look forward to hearing from you.